For the third year on the run, a one day workshop on Bird Monitoring in Kerala was held at Centre for Wildlife Studies, College of Forestry, Kerala Agricultural University, Thrissur on 14 June 2016 . 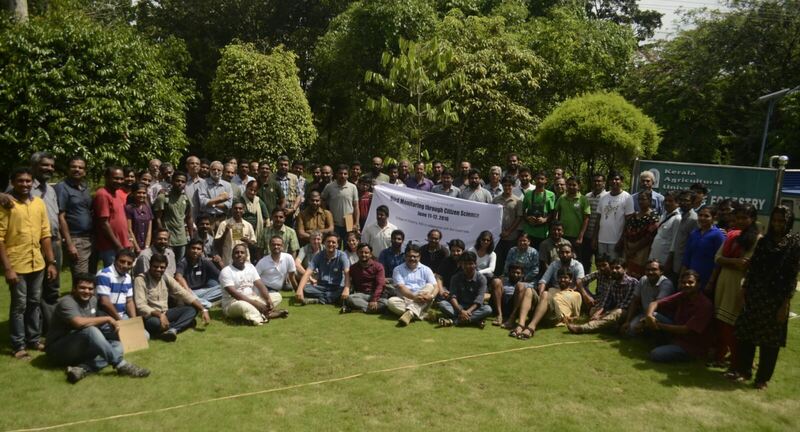 More 100 birdwatchers and nature enthusiasts, representing various organisations in India participated in the workshop. Participants from Kerala represented Cochin Natural History Society (CNHS), Malabar Natural History Society (MNHS), World Wide Fund for Nature – Kerala (WWF), Bird Count India, Nature Conservation Foundation (NCF), National Centre for Biological Sciences (NCBS), KeralaBirder, Birdwatchers of Kerala, Hume’s Centre for Ecology & Wildlife Biology, Travancore Natural History Society (TNHS), Rice Research Centre, College of Forestry etc. This year, delegates from fifteen other states in India joined us as observers under a larger umbrella of Bird Count India titled ‘National Conference of Bird Monitoring through Citizen Science’, of which the Kerala Bird Monitoring Workshop was a part. 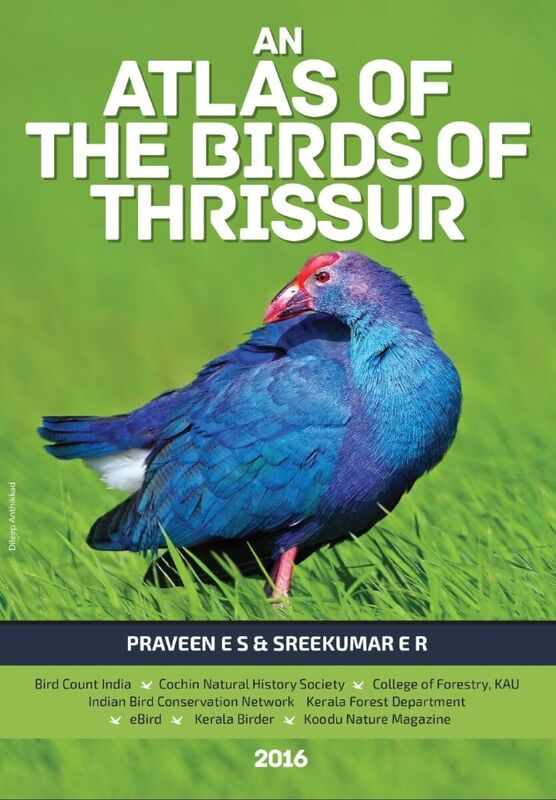 The workshop marked the release function of two books – An Atlas of the Birds of Alappuzha and An Atlas of the Birds of Thrissur by Honorable Minister for Agriculture Adv. V.S. Sunil Kumar and the function was presided over by PCCF (HoFF) Dr. B.S. Corrie. 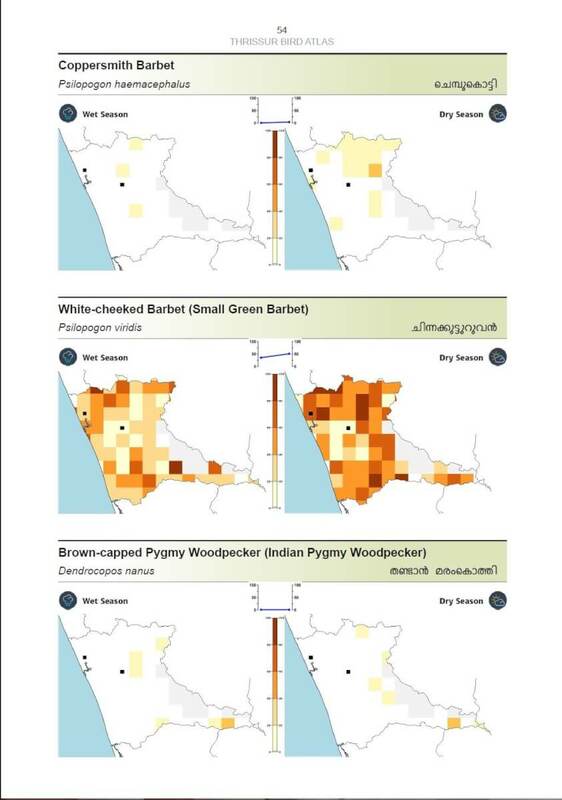 Bird Atlas surveys for the non-forests in six districts in 2016-17. 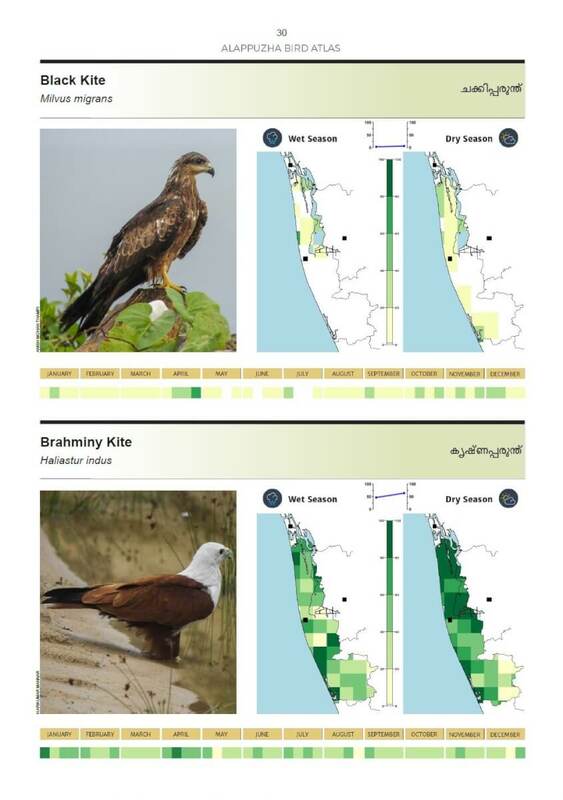 Kerala Bird Atlas Protocol approved for non-forests with minor changes. Pursue birding outreach through regular training and eBird outreach through focussed social networking media. Much greater involvement from KFD in forest surveys to be sought. Improve penetration in other districts to onboard them on to atlas in 2017-20. Continue mass events like CBMP & OBC – involve more coordinated walks than random birding events. Continue heronry monitoring in all districts based on availability of key coordinators. Pelagic surveys during the two migration season (fall & spring) from every district. 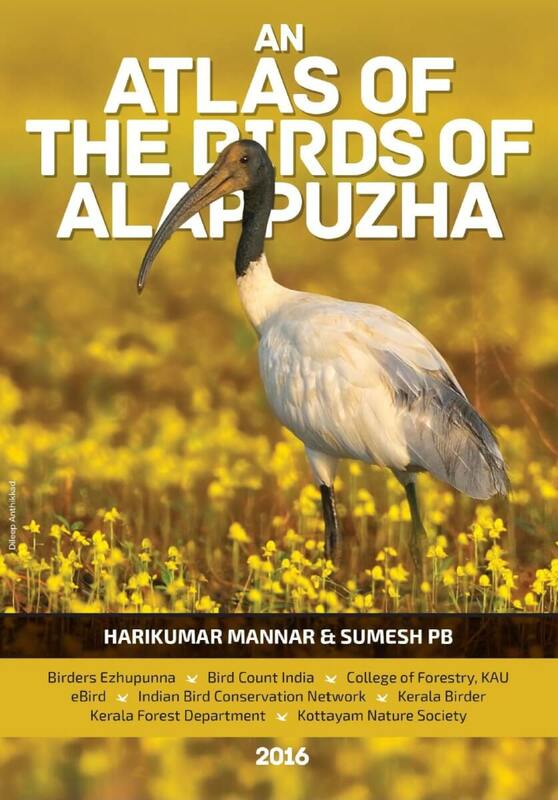 Various media covered the book release function of Alappuzha & Thrissur Bird Atlas. See details of the 2015 Workshop.